Buying a laundromat could be a great business move, but it comes with some caveats. In 1934, right in the middle of the Great Depression, the first self-serve laundromat (or washateria, as it’s often known to Texans) opened in Fort Worth, Texas. At the time, many Americans had a difficult time affording food to put on the table, let alone an expensive washing and/or drying machine. Technology has advanced a great deal since that time, and lifestyles have changed. 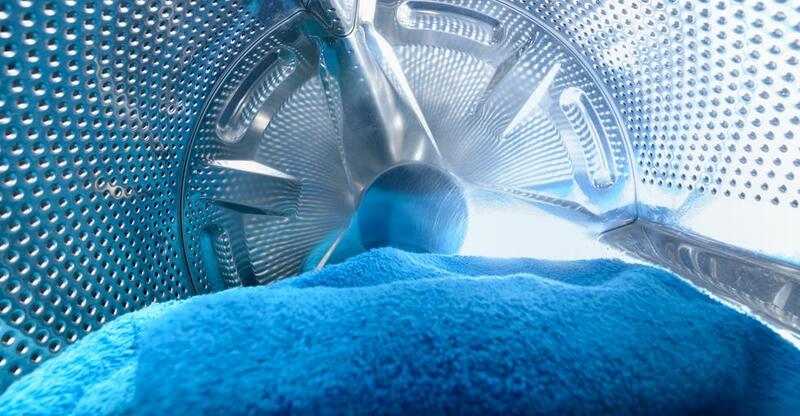 Many Americans own (or rent) an in-home washer and dryer, or live in a building that supplies them for all residents. As such, the need for laundromats on every corner has diminished. However, this doesn’t mean owning a laundromat can’t be a lucrative business venture. It still can, as long as you keep a few simple tips in mind when looking for the right one to buy. Taking into account the location of your potential laundromat will be perhaps the most important part of the buying process. If you choose a laundromat in one of these types of locations, you will likely have greater success in generating steady revenue than, say, a laundromat in an upscale suburban area, where most people likely own a washer and dryer. You may think that because your core customer base will be doing their own laundry, there will be very little work for you. Many industry veterans will tell you it’s one of the biggest mistakes you can make. Being a laundromat owner takes a strong entrepreneurial mindset. Not only does a laundromat take a lot of maintenance (aside from collecting coins/payment, there is also machine upkeep, and repairs for these machines can sometimes be costly. You’ll also be in charge of day-to-day operations, including overseeing any employees, forming relationships with vendors, and retaining customers through promotions and amenities. These days, it’s not enough to simply offer customers a place to wash their clothes. It’s also valuable to offer amenities such as Wi-Fi, coffee or even a bar - this would, however, take some additional work, as you’d need to secure a license to serve alcohol, and you’d have to be in a location zoned for such a service – but this will provide an additional revenue stream. As technology continues to advance, it becomes easier to offer certain amenities. Not long ago, offering Wi-Fi in a laundromat would have been considered an incredibly luxurious offering; today, it’s expected, since a large number of businesses choose to offer this service to customers. Amenities don’t have to be limited to just Wi-Fi or a bar, either. This is a good time to get creative; think about what you’d want as a customer to help occupy your time. Old arcade games would be a fun investment and could potentially set your laundromat apart from others. Buying any business requires a certain amount of legwork on the buyer’s part. Consider why the laundromat is being sold: is it not generating revenue? If so, is there an easily explained reason (such as lack of amenities)? Is it in need of maintenance and upgrades? Are all of the machines functioning well? It’s important to have solid answers to these questions before making an offer. Location - Is the location convenient, and in an in-demand neighborhood? Are there major changes planned to the area? Income - Does the current owner turn a solid profit, and is the current revenue enough to sustain the laundromat in the long-term? Expenses - Do the business expenses outweigh the revenue? Equipment - Are all the machines in proper working order, and will you need to replace many of them in the immediate future? Don’t take the current owner’s word for it. Ask to see proof of regular maintenance, and don’t be afraid to bring in your own expert. There is risk involved with buying a laundromat, but if you work to mitigate the risk, you can end up with a profitable business venture, leading you to financial success!